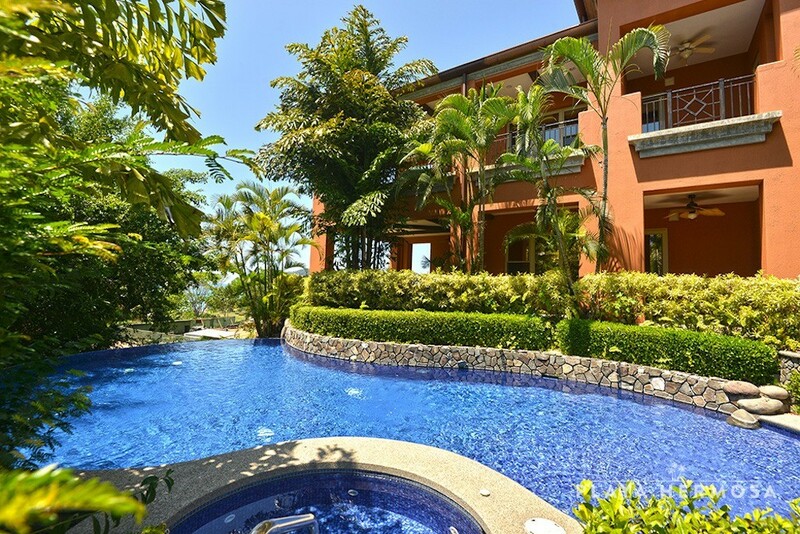 From its hilltop location, the Terrazas de Marbella condominium community commands the scenic rainforest and ocean views below. 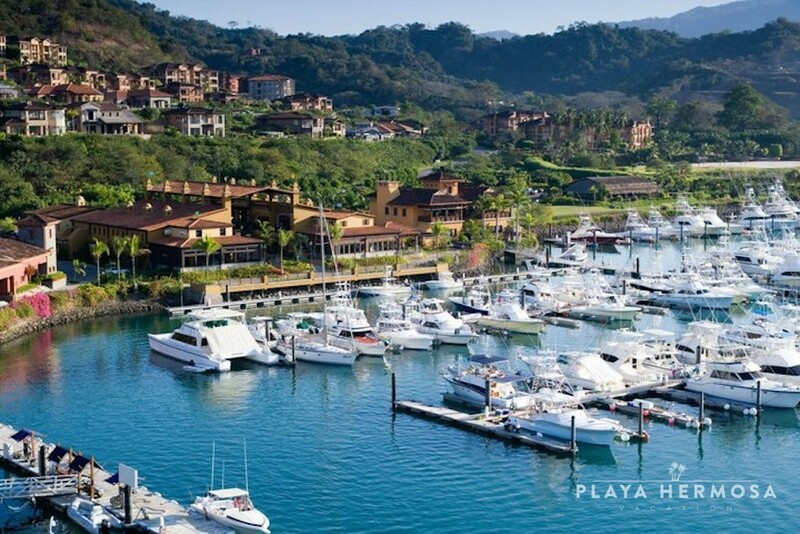 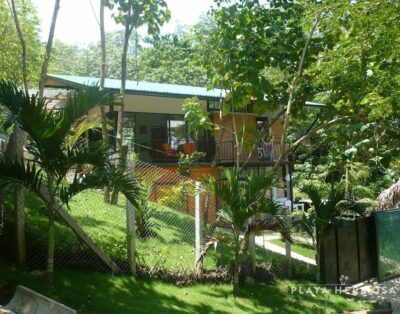 The architecture is reminiscent of Costa Rica’s pre-Columbian history, with squared exterior walls and slightly rounded clay-tiled roofs. 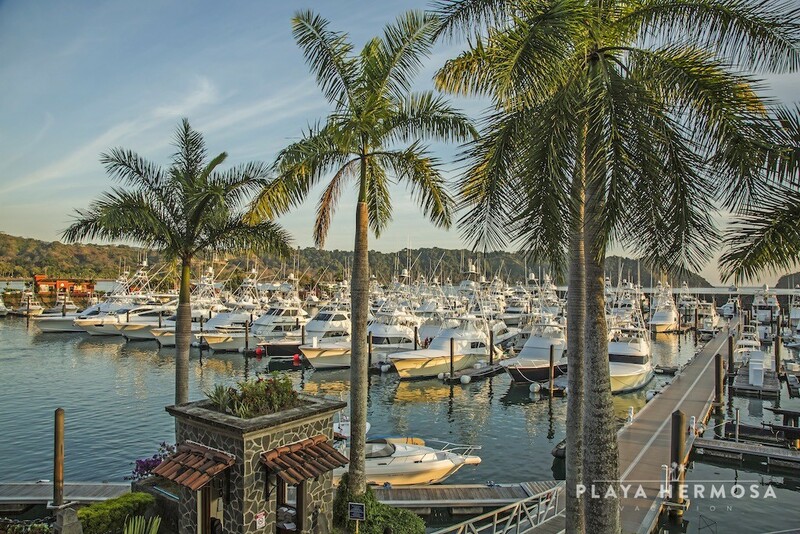 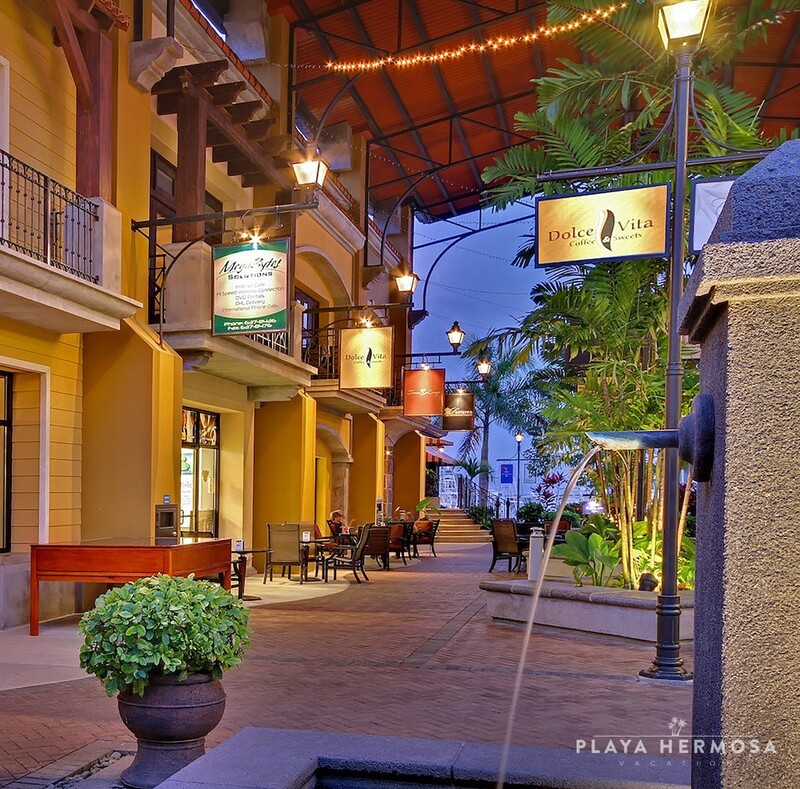 The timbered terraces and wrought iron detail adds to the Mesoamerican atmosphere of Terrazas de Marbella. 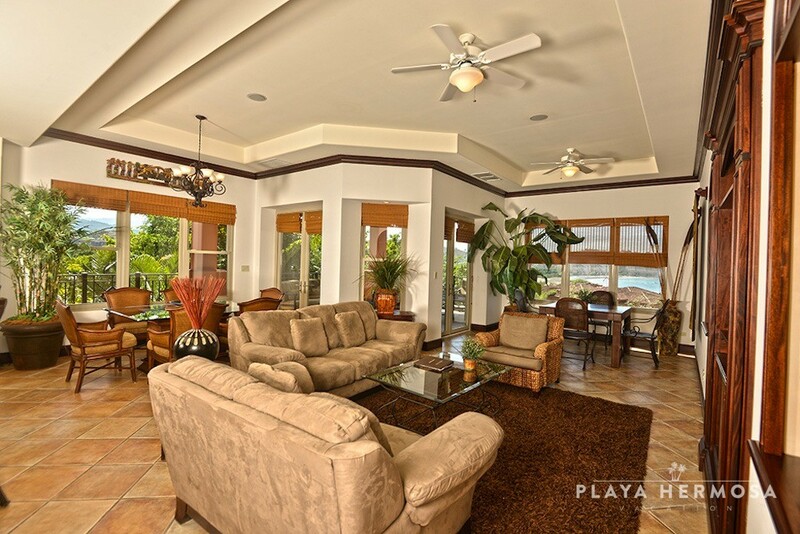 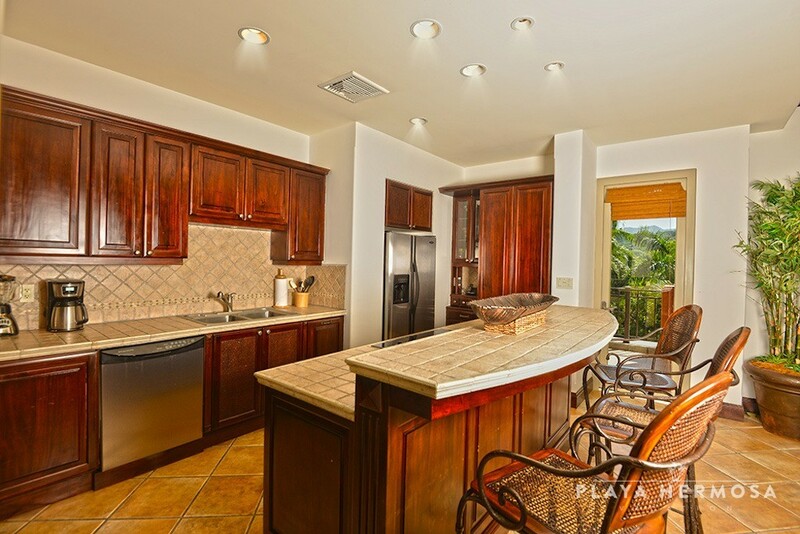 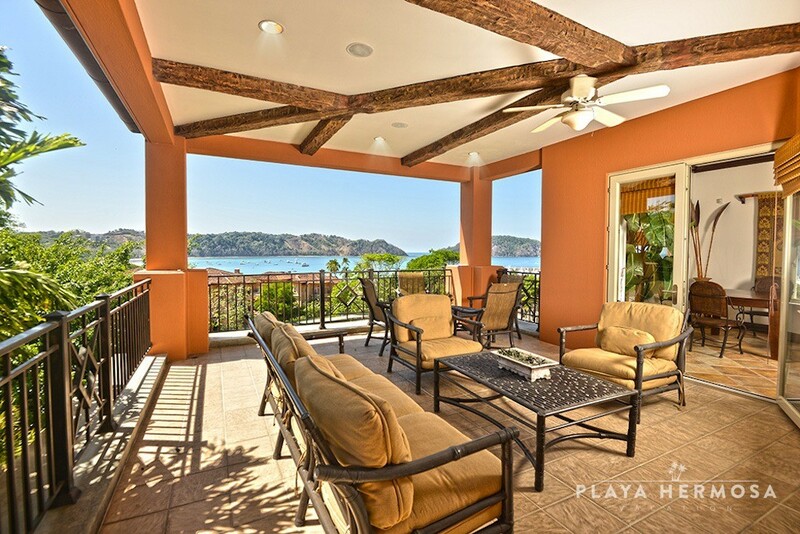 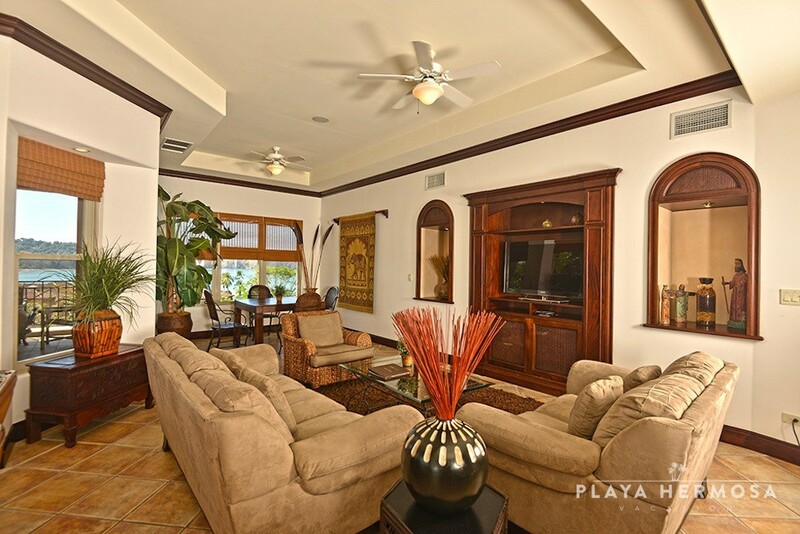 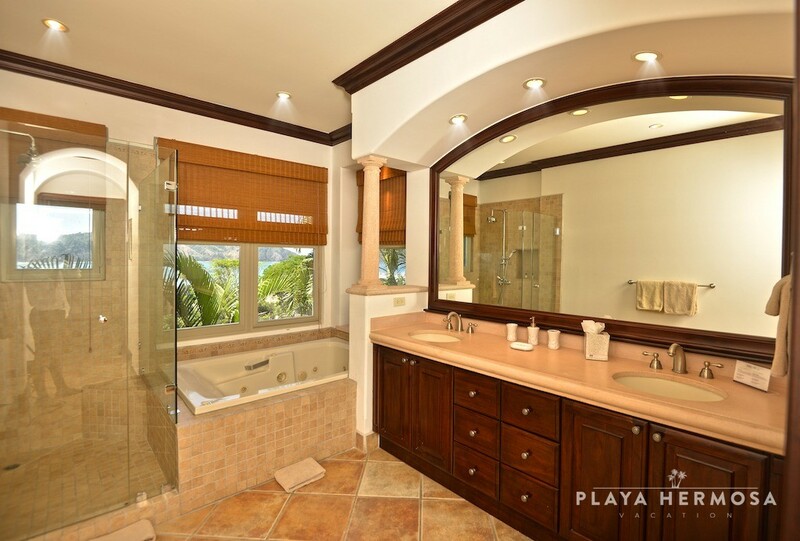 Warm wood tones, tile flooring, and soft colors add a distinctive tropical flair to the open-concept living areas. 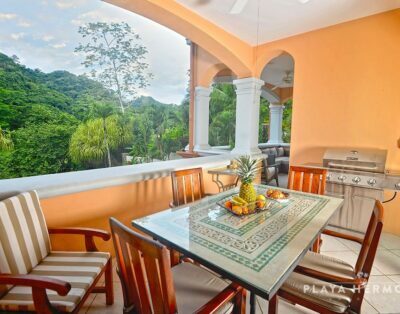 The tropical lifestyle extends to the tiled, covered terrace, which is furnished with an eye to relaxed comfort. 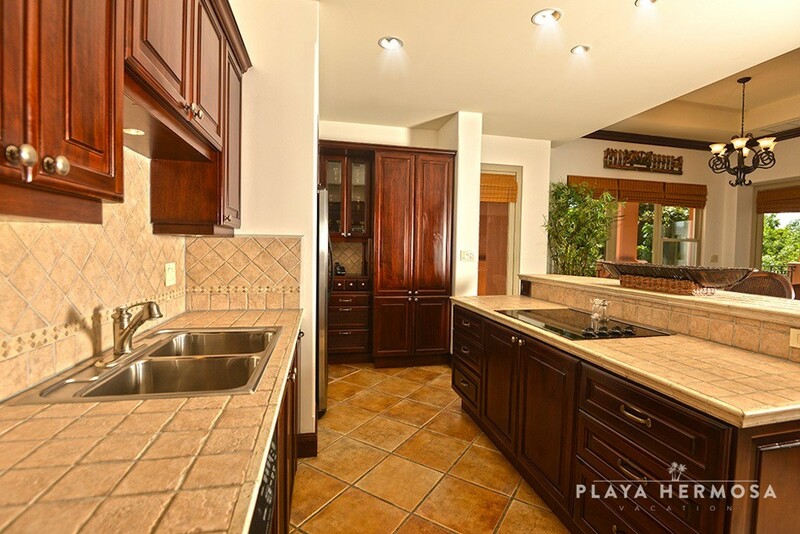 The gourmet kitchen, a model of compact efficiency, includes every convenience. 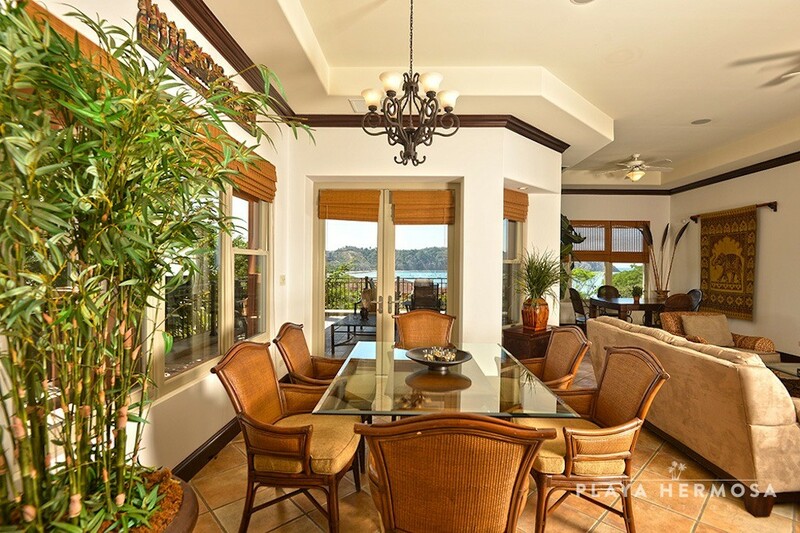 Spacious and light-filled, the rooms frame stunning views. 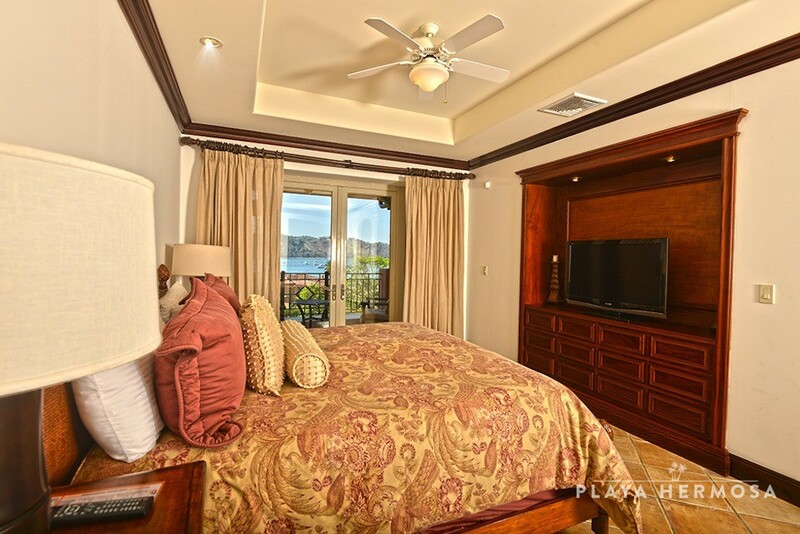 Each of the three guest bedrooms has expansive views, while the master suite boasts an en-suite bath with walk-in shower and Jacuzzi. 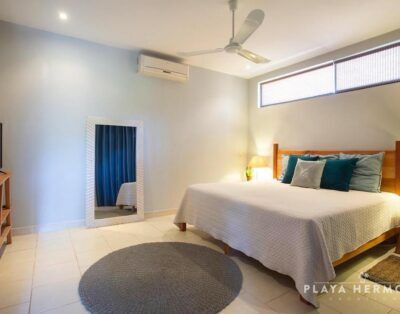 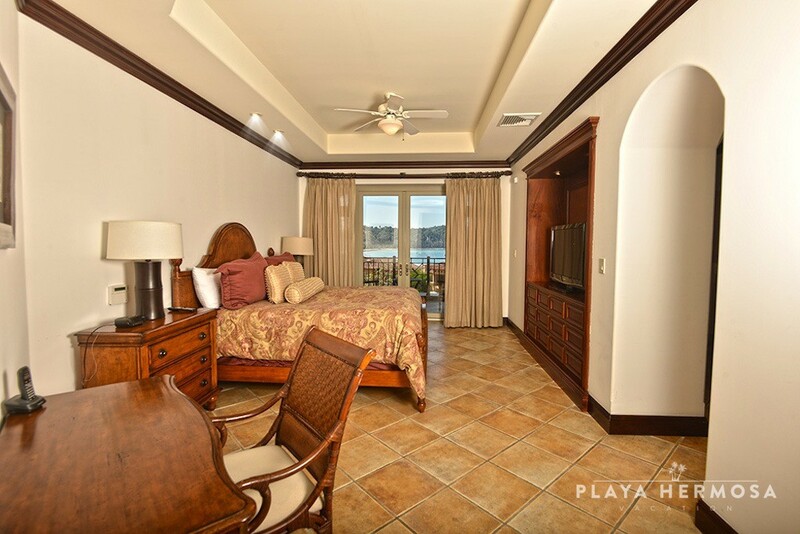 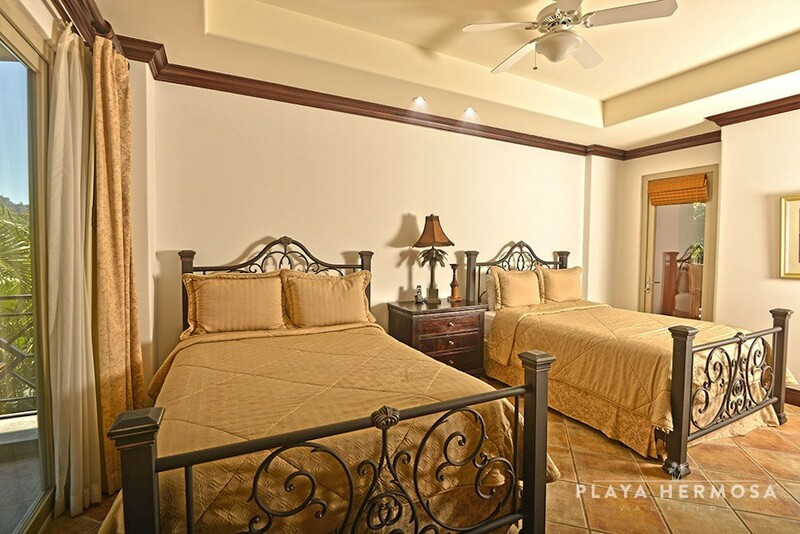 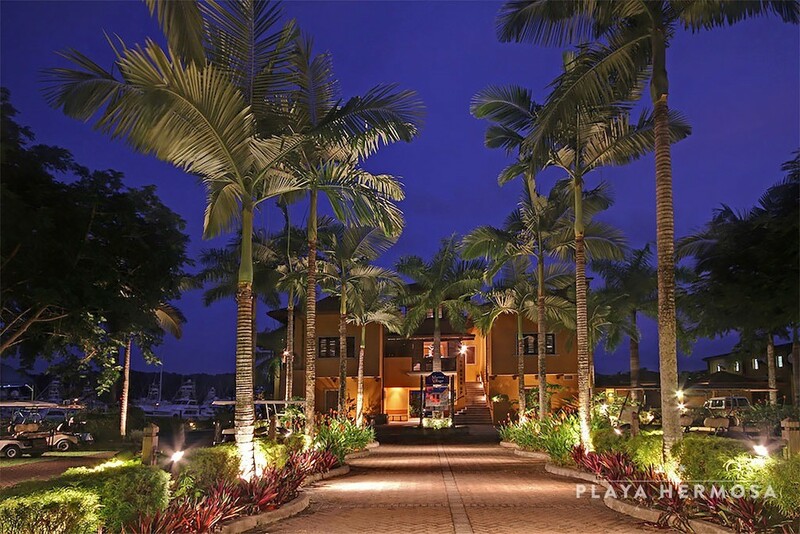 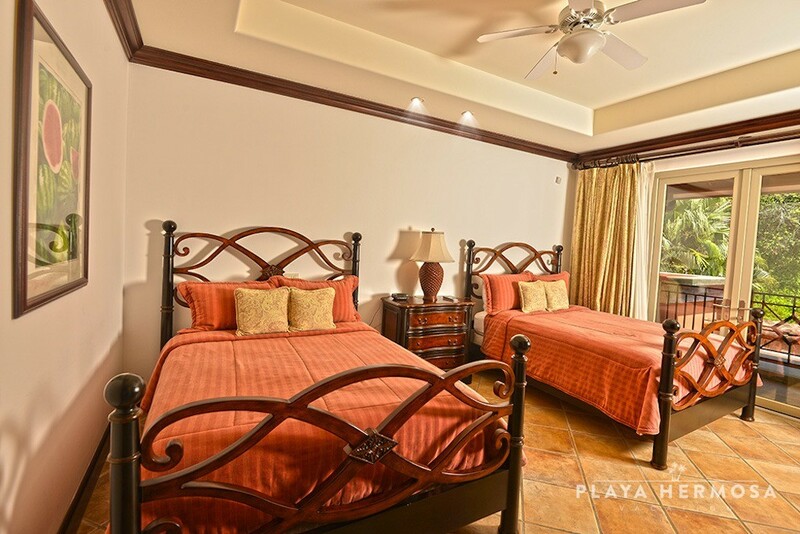 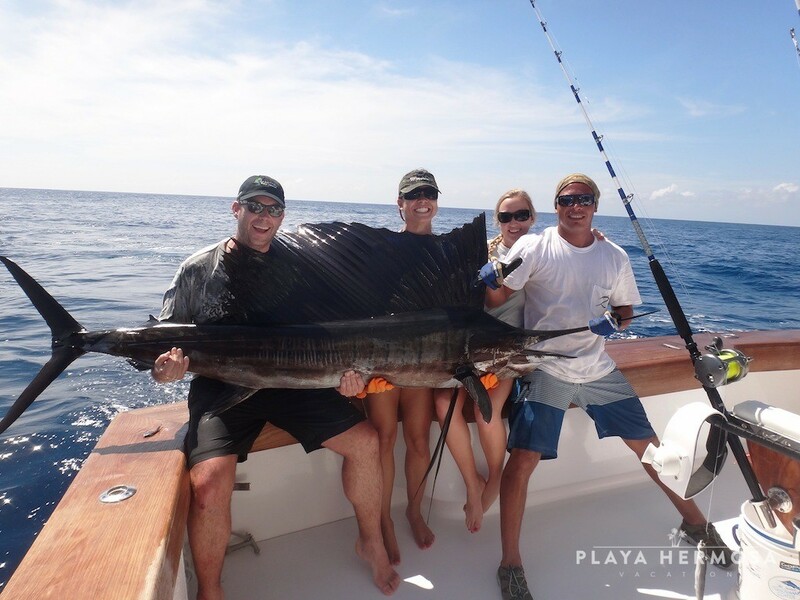 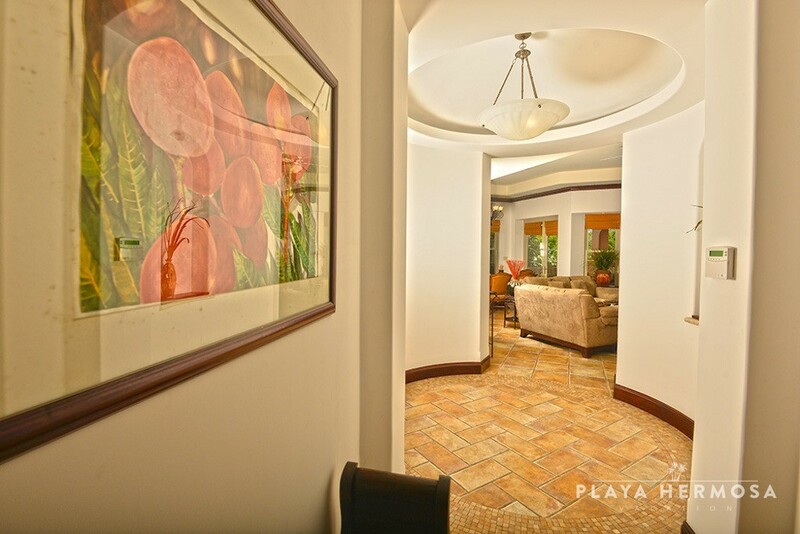 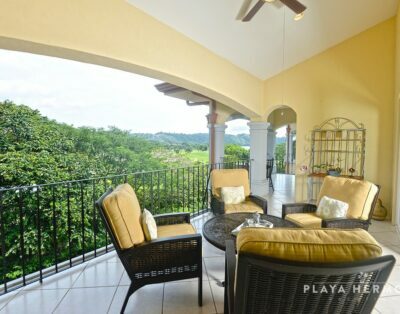 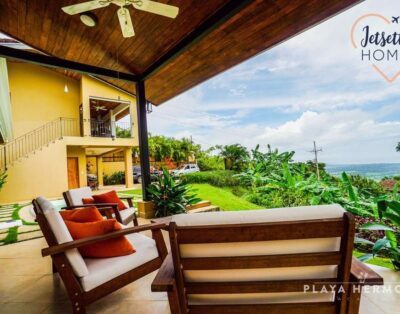 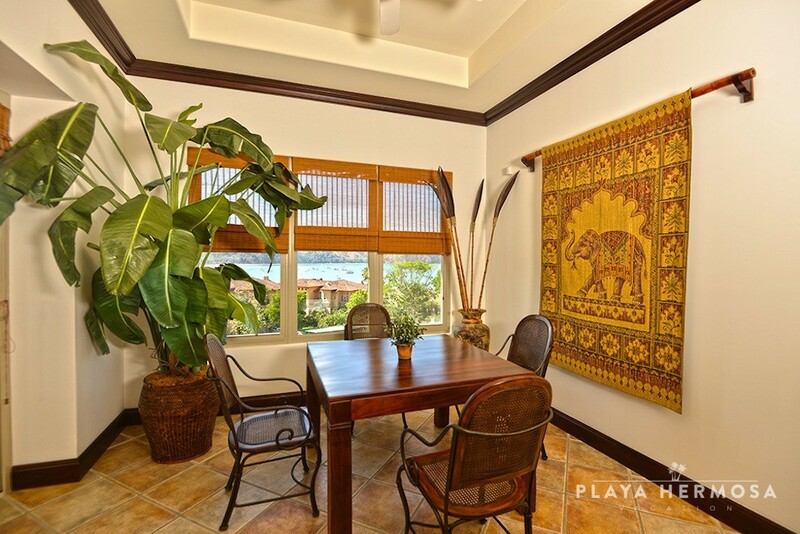 This ground floor unit is the epitome of tropical luxury and comfort, perfect for a group of adults exploring Costa Rica together. 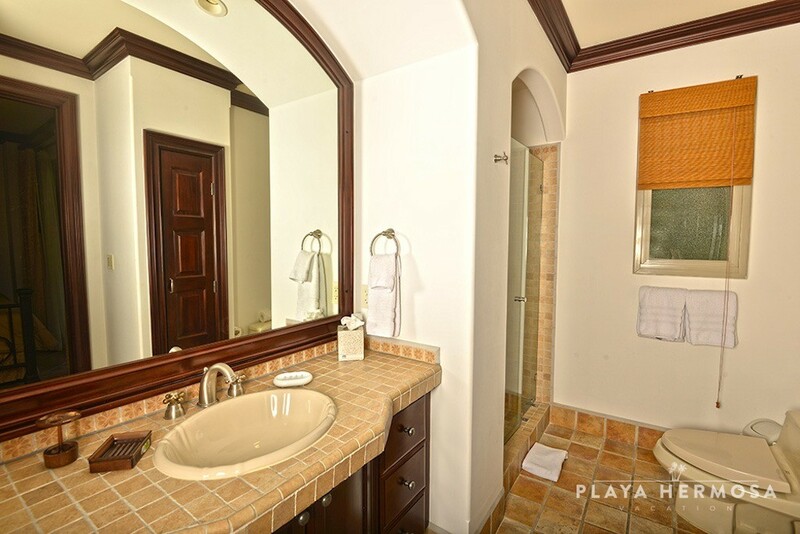 The attention to detail and privacy displayed throughout ensures everyone samples the Pura Vida lifestyle.